How to play the chords and solo in the style of “You Shook Me All Night Long” by AC/DC. How to play the chords and solo in the style of “Sweet Child O’ Mine” by Guns N’ Roses. How to play the chords and solo in the style of “Another Brick in the Wall” by Pink Floyd. How to play the chords and solo in the style of “Hotel California” by The Eagles. How to play the chords and solo in the style of “Stairway to Heaven” by Led Zeppelin. How to play the chords and solo in the style of “Sweet Home Alabama” by Lynyrd Skynyrd. How to play the chords and solo in the style of “Crazy Train” by Ozzy Osbourne. How to play the chords and solo in the style of “Don’t Stop Believin” by Journey. How to play the chords and solo in the style of “Let It Be” by The Beatles. I like Steve as a teacher. I think he is inspiring and talks with confidence. My only complaint is that (as with many guitar instructors) it is difficult to see which note is being fretted in the video. The fingers tend to hide the fret board. My suggestion would be to add a diagram of the guitar neck at the bottom of the screen showing the notes as they are being played. I know this would be more video work, but I think it would be more rewarding to the student. I remember one time Steve said, "at some point you just have to learn a solo". You have to get started somewhere. This is the perfect course to learn that solo. The crazy thing about it, is that it opened other solos to me. It also merged together the fret board and connect some dots for the CAGED system. I didn't realize how close I was to making the leap to lead...I was already there. Steve Stine is the best teacher and I really learn a lot from his style of teaching! I've purchased many tutorial videos and dvds from GuitarZoom and will continue to do so. I really enjoy learning from him. 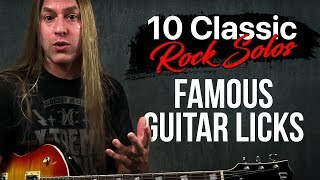 My reason for purchasing '10 Classic Rock Solos' was so I could play all of the songs and solos with complete confidence, plus I really liked the song list that he chose to cover. I do wish the songs covered all of the elements of each song in more depth so I could play them from start to finish. Maybe the course could be updated to include step-by-step instructions to really understand each song for a beginner/intermediate player like myself. Anyway, keep up the great work Steve! The description "so you can play the ENTIRE song and solo with complete confidence" is deceiving. It's just the solos, not how to play the entire song. Other than that complaint, Steve is an amazing guitar teacher. Steve is a great teacher. I like that he explains what's happening with the chords behind the solo as well. One suggestion: The backing tracks need a count in. Its hard to hit play and immediately solo along. Thanks. Steve is a great teacher. This was a great course and I'm glad I got it. It had a lot of good info. Some of the songs have outro solo's that weren't covered but this was still great and was well worth the money and time. 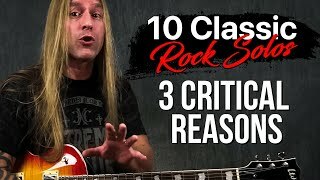 I don't think i have purchased one course from Guitar Zoom i was disappointed with. Great course!! Steve has a teaching style that motivates you, builds your confidence, all the while keeping things fun and exciting! I recommend this course to anyone who is interested in improving their solo skills! I have many courses from Steve Stein and Guitar Zoom and I have not completed very many of them yet. I can say I think Steve is an excellent teacher. He breaks things down and gives tips on how to develop your own style. 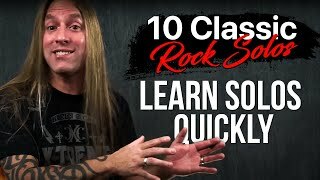 1o Classic Rock Solos is a great course with some of the best guitar solos ever made broken down in easy to understand lessons. I would recommend them to anyone struggling with guitar soloing. Nice to practice with, but missing some of the soloing parts. Anyway, the teaching style is very good! I have ordered several courses from Steve. I think he is an excellent teacher. But as far as the 10 Rock guitar solos I was disappointed because I wanted the ending solos to Sweet Child O Mine and Sweet Home Alabama. 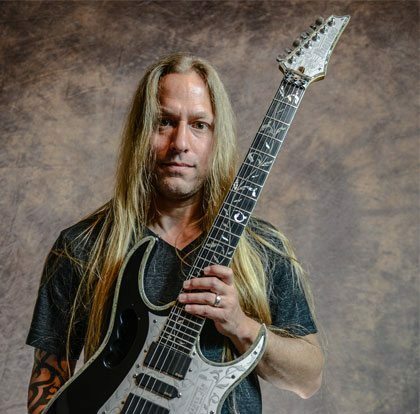 Steve is such an awesome guitar teacher, you can learn anything and everything from him. 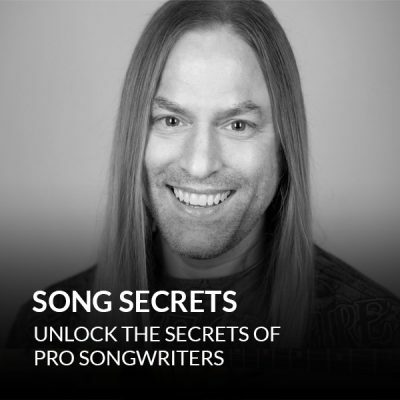 It is great how Steve takes him time to explain everything about the solos of this course. It is great to have the tabs available too. It is a great inspiration when you are learning how to solo. I am not learning the tabs note for note, but I am applying the ideas of the tabs to my own soloing, and because of these tabs I never run out of ideas. Definitely an awesome course and well worth the money. Cheers!!!! I was disappointed that the entire solo for Sweet Child of Mine was not in the course. I already had worked on and knew what Steve went over in that song. I guess that is what you get for taking a chance on these types of courses. But on Shook me all night long, I thought Steve did a very good breakdown of the song and I believed I learned it 4 times as fast as trying it on my own. And when you only put in about 4-6 hrs a week on guitar, that means a lot. That is all the further I am at, at this time. I would buy another series of soloing for another set of classic rock songs that Steve broke down for us novices to play. 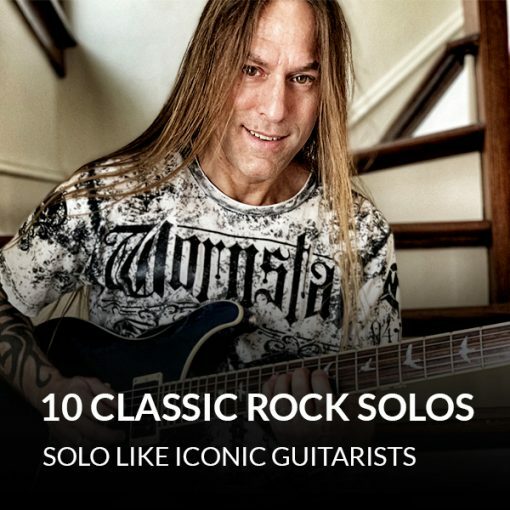 Great for learning solos from some of the best classic guitarists. Definitely worth the money. Really helps to polish up on soloing techniques. I didn't look at this course right away because I was just getting started again after over 12 years of not playing. I admit to feeling a little intimidated by the material it contained. Curiosity finally got the better of me. I was astonished to learn just how easy Steve could make it to learn something like Hotel California and Stairway to Heaven (the only 2 I'm working on so far). Make no mistake. I'm not good. It's ugly and usually sounds like someone is feeding a cat to a wood chipper, but every now and then I hit all the notes in the right order at a decent speed and I can actually recognize what I'm trying to play. It's a good feeling and I know if I just keep working at it, I'll get there. Thank you, Steve! This was an outstanding course. I wish Steve did more of these type courses. Let's be honest, solos like the ones in this course is what got us all wanting to play guitar in the 1st place. I do wish the hole song was being taught though. But the solos were right on. Really enjoying it, taking my time to ensure I get it right and improve my technique. Good choice of songs, while not all are a ongoing my personal favourites, many are, I can see how each builds on the one preceeding it. 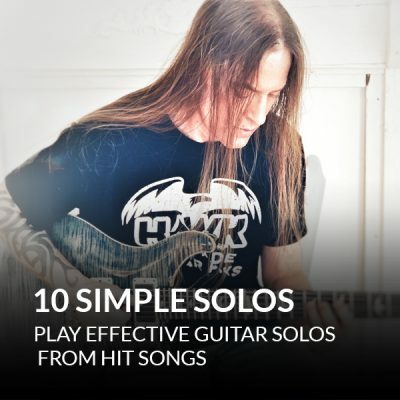 This course is great for people on a quest to learn how to do better guitar solos. Steve not only teaches the classic solos note by note, but also explains where where it comes from, helping understand the theoretical framework. I got a great deal from it. Pretty awesome course. Still trying to work my way through the solos but they are bang on accurate. Pretty exciting as I have never been able to do a solo even though I have been trying to play the guitar for about 50 years ? Real good stuff here. I learned "Let it Be" yesterday, I can't wait to show it to the boys in the band! The parts that are provided for the songs are of good quality; however, the description "so you can play the entire song and solo with complete confidence" found me searching the internet for other sources to figure out how to play them.